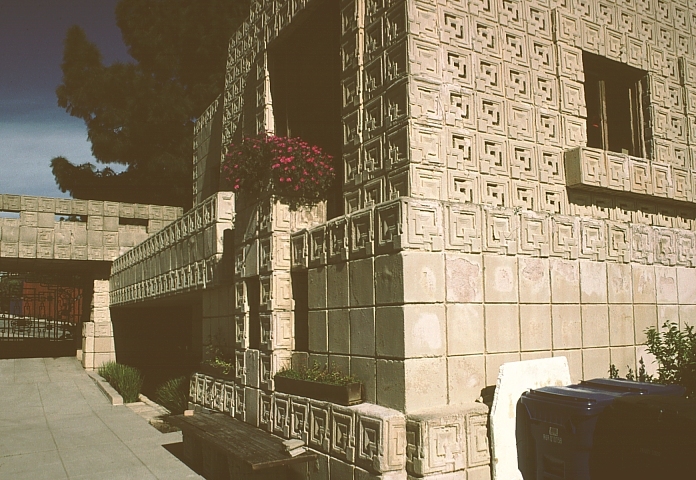 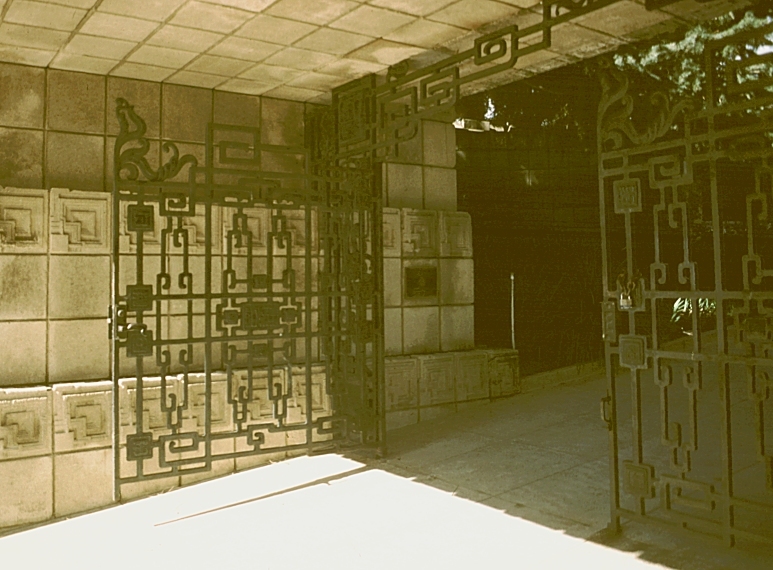 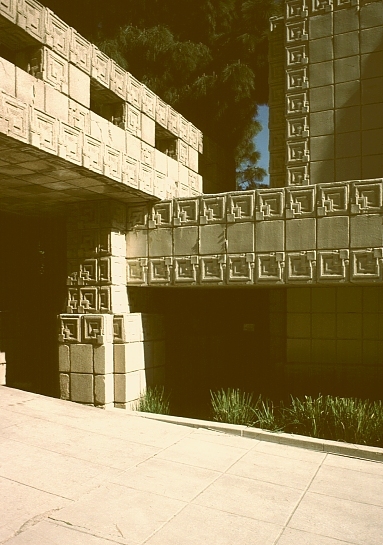 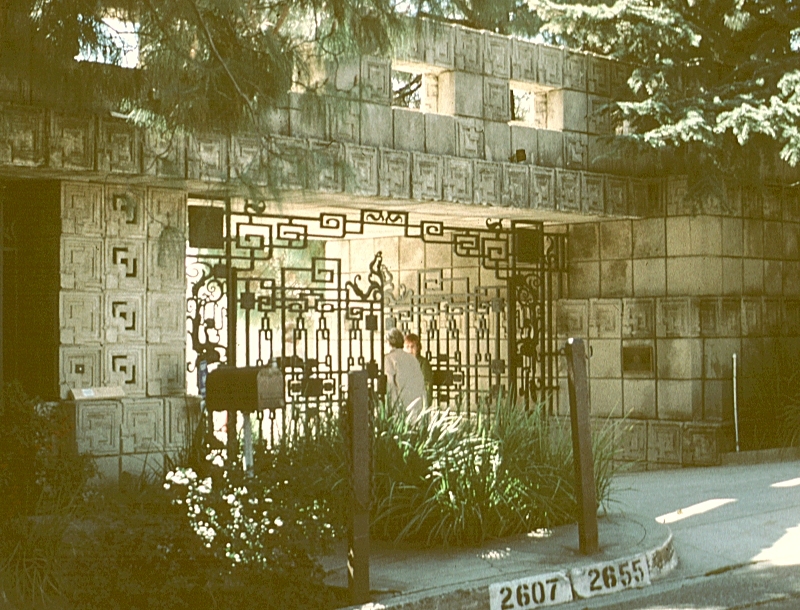 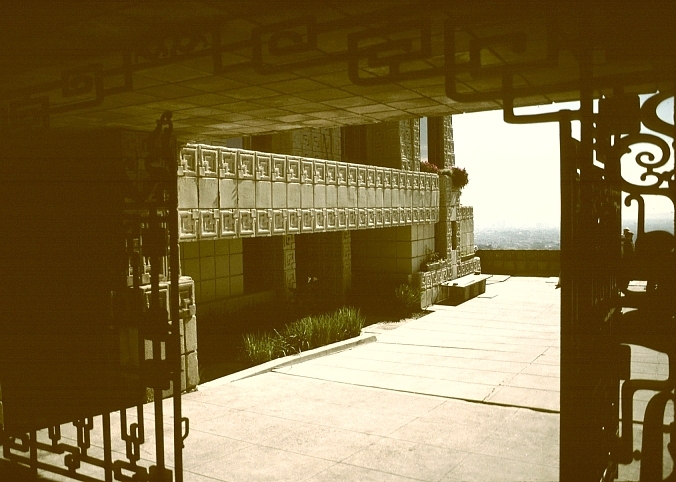 Images of Charles Ennis (Ennis-Brown) House, 1923, by Frank Lloyd Wright. 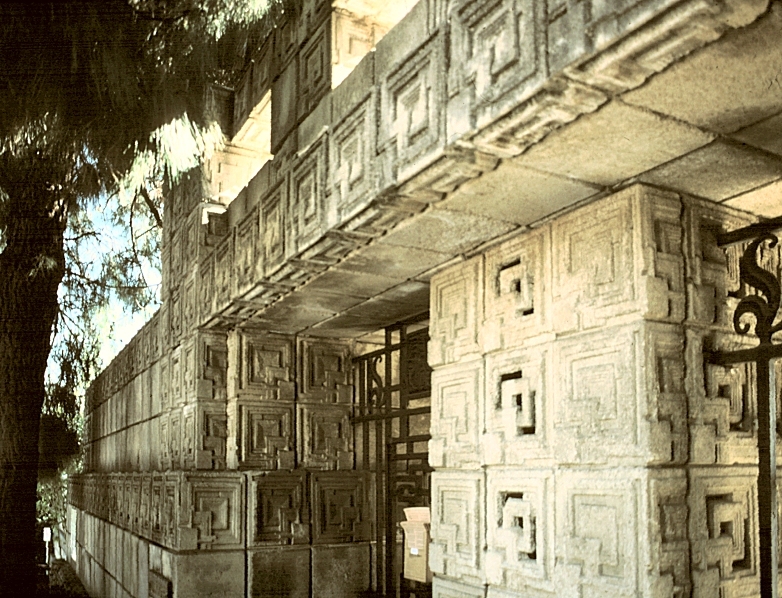 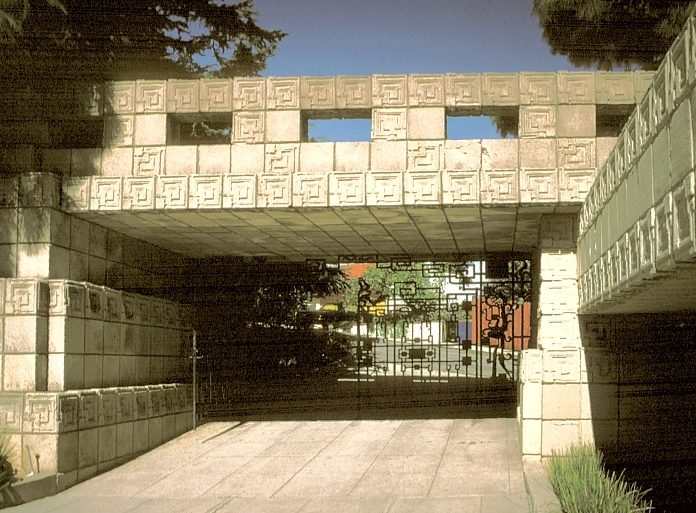 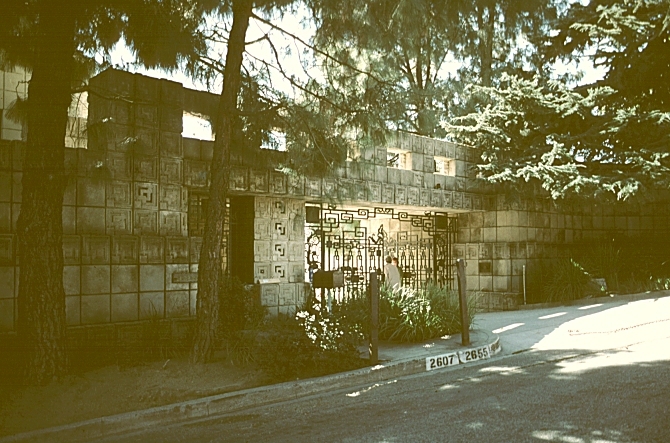 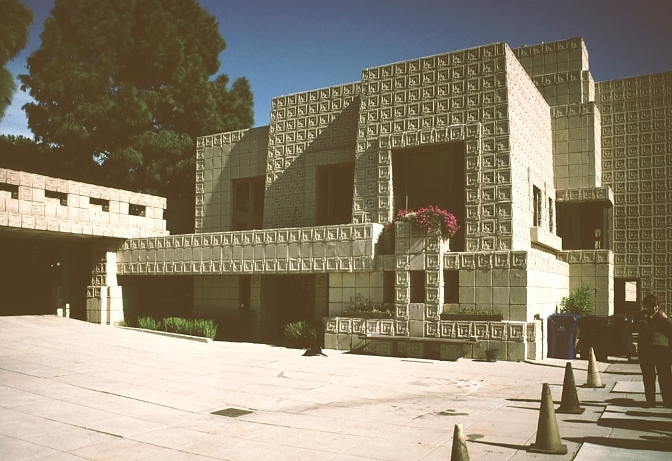 Wright's fascination with pre-Columbian architecture (also seen in other works--see the Barnsdall house) is evident in his use of plain and textured concrete blocks and the stepped-back stages of the walls, reminiscent of pyramids. 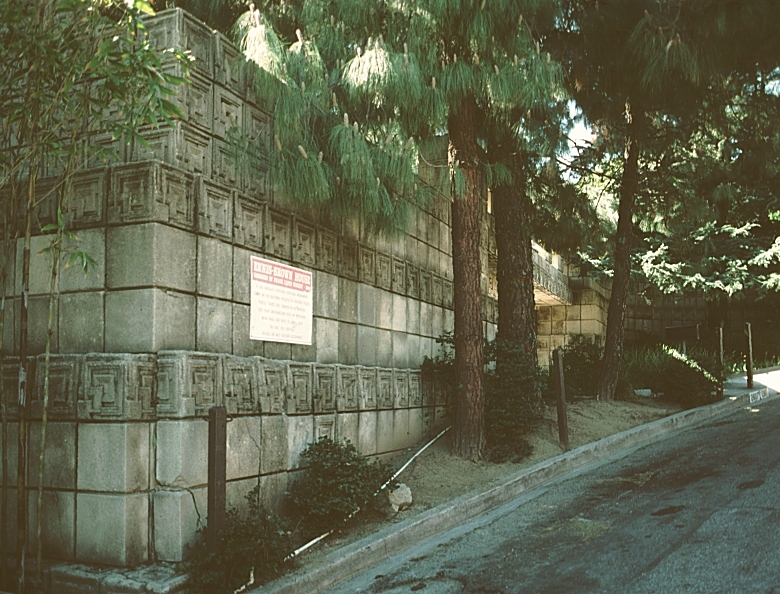 The south facade (not illustrated here) seems like a temple hugging the cliffs. 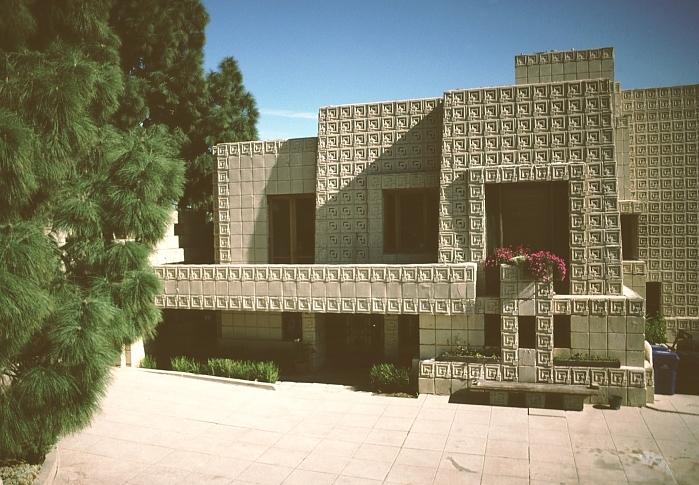 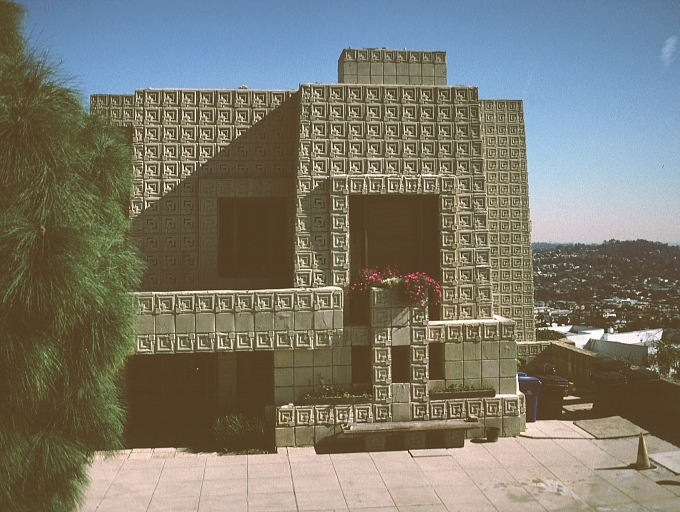 Click here to see additional views of the Ennis-Brown house.